Hey Chickadee Christmas Giveaway - CLOSED - Super Cute Kawaii!! 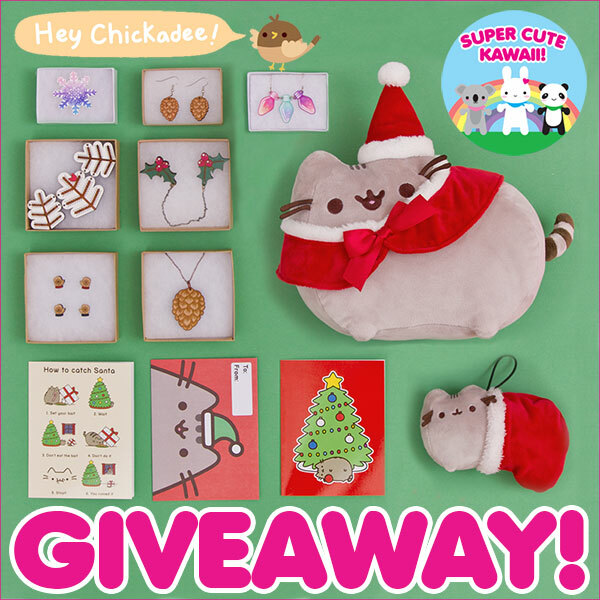 An extra cute and very festive giveaway this week from Hey Chickadee, home of Pusheen the cat and friends. 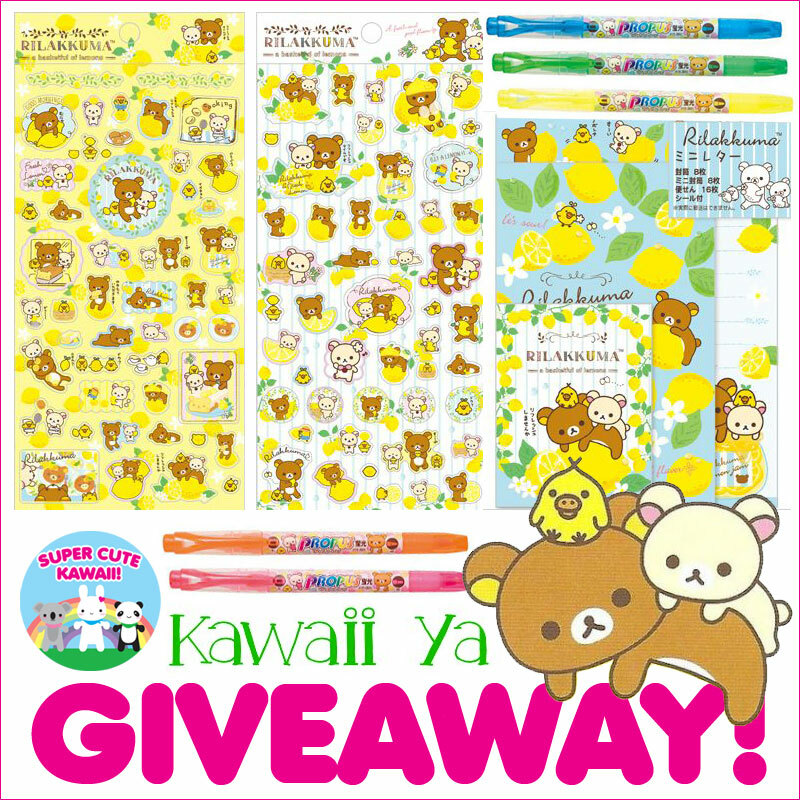 One lucky winner will receive all this cute stuff! That’s a 12-inch Santa Pusheen plush toy, 6-inch Stocking Pusheen plush ornament, 2 Pusheen Christmas cards, a Lovely Lights necklace, Snowflake pin and Holly Jolly collar clips by Galactic Castle, S’Mitten stud earring set and Snowy Morning necklace by Hugbox and Pinecone necklace and earrings by Lauren Jordan – wowzers! 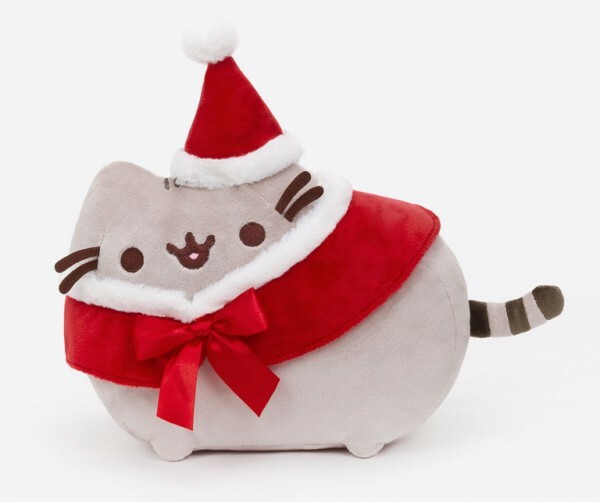 Here’s a closer look at that Santa Pusheen. Too cute! To enter, use the Rafflecopter widget below for multiple chances to win. PLEASE check you are answering the question in your comment, or ALL your entries will be disqualified. The giveaway closes on Tuesday 15th December and we’ll pick a winner at random. Good luck! 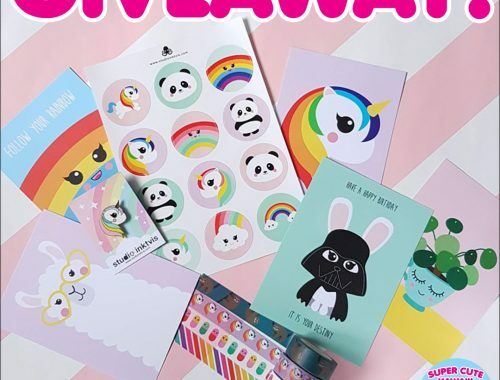 This giveaway is open worldwide and Hey Chickadee will do their best to get the prize pack to the winner in time for Christmas, but it might not be possible outside the US. Make sure you check back for the winner announcement on the 16th so you can send us your address quickly if it’s you.